Between 2003 and 2015, the US government had a contract with 3M, in which the manufacturing company provided its Version 2 Combat Arms Earplugs to active duty members of the military. These earplugs were meant to be worn during combat to help soldiers reduce the risk many loud sounds posed on their hearing abilities. Many of these sounds, like gunfire and explosions, have been known to cause hearing loss or tinnitus, which is the perception of noise or ringing in the ears. The Combat Arms Earplugs were designed so that they would block out the loud noises of weaponry, but still allow US soldiers to communicate in combat situations. However, the makers of these earplugs may have known that their product could not accomplish both goals effectively because the earplugs were too short. 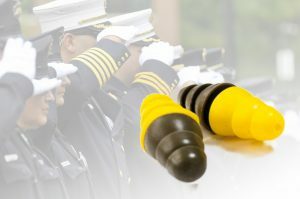 Active troops and military veterans have reported that these earplugs would commonly shift in the ear, become loose and fail to provide the protection promised by the manufacturer. Despite knowing about these defects, 3M did not inform military or government officials about this manufacturing mistake. As a result, many current and former servicemembers that used 3M’s Version 2 Combat Arms Earplugs may now suffer from some form of hearing loss or tinnitus. If you believe a faulty earplug caused you or a loved one to suffer from hearing loss, tinnitus, or another hearing condition, Cellino & Barnes will examine your claim for FREE. Contact us today to speak directly with an experienced attorney for your FREE case evaluation.